Well (surprise, surprise) I have an addiction to Twitter. OK, it's not really Twitter. It's all my friends that I have made on Twitter. I take my phone with me everywhere, and I can text, call, and Tweet them at all hours. And I have. I am often tweeting with them before 6am and before I get out of bed. They are the last people I talk and tweet with before I go to sleep. Note- I didn't say before I go to bed, cause I can often be found tweeting in bed. Now, I know I am not the only one with this addiction. In fact, I could name several people out there with this addiction. But, for tonight, the only finger I am pointing is at myself. So- I stand up loud and proud and say it again- I AM ADDICTED TO MY FRIENDS! I did it- I ran my first half-marathon this morning in Philly. What remains to be seen is will it be my last half? I haven't been training for this race like I should have been. Ok, honestly, I haven't run more than 5 miles in quite a while. So, knowing that, I decided to take it nice and slow. I planned on walk-run intervals to help me get through the whole thing. My goal time was 2:30:00, but I just didn't quite make it. I was doing OK through the first 8 miles, but at mile 9, my legs just went dead. And then, to add insult to it all, my iPod went dead at mile 10. I was still maintaining my walk-run intervals, but at mile 11, my I couldn't run anymore. My legs hurt so bad and were just done. There were times on mile 12 I thought I would have to sit down for a little bit, but I didn't. I keep on walking and made it. I did manage to run the last 0.1 mi (through the finish line) and even got another lady to stop walking and run through the finish line, too. My final time was 2:56:something. It was great seeing Mike and Matthew at the finish line. I went though the finisher's corral and got my food, and then staggered out to find my family. Doing a half-marathon was a great experience- once I realized I wouldn't die! I'm not happy with my time, which leads me to think that I may do another half after I seriously train to try to better my time. I was in corral 18- that was a long walk from the starting line. The way the course wound around the city, mile 4 was right back at the start line. It was very depressing waiting in the corral to start and seeing the leaders pass us... 18 minutes in, they were through 4 miles. Running through Philadelphia, you encounter many smells. Some good, many sewer-like. Why do people stand as a spectator of a RUNNING race and smoke a cigarette or cigar? It would've been nice if someone had gone through the course on race morning and removed the dead animals from the road- I had a really close encounter with a dead raccoon. ING runs a very organized race. I was very glad we stayed the night before in Philly. It was nice not having to drive downtown and mess with crowds in the early morning, and it was great to be able to have Mike drive me home. But then I discovered more and more of my favorite people were arriving on Thursday (I know, not all of them, but many- JIM!). So, I hopped on line to Southwest.com and did a little researching. I found that I could save $50 by flying out on Thursday. And Southwest, being the WONDERFUL airline they are, allowed me to change my flights with NO charge, and I even got a credit for the difference in price. Also, I get to take a bag without paying luggage fees and they have some of the nicest (and funniest) attendants around! Now, I get to leave on a better flight (12:00 instead of 7:00am), and I get in to see my friends a day earlier. I get to eat at restaurant I've never tried at WDW, and I have time to do some Vinyl shopping. And, thanks to one of my bestest friends, I don't even have to get a hotel room that night- she has offered me her extra sofa bed in her 1BR villa! So Southwest Airlines, I just wanted to say THANK YOU!!! You have totally made my week! WDW Mom's Panel- Third Times a Charm??? 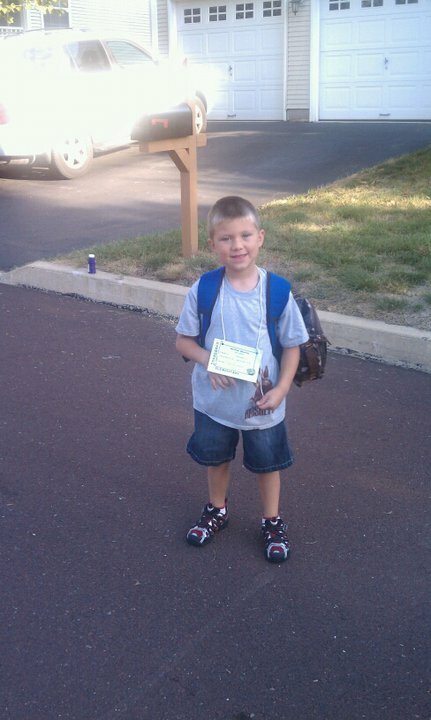 Well, it's that time of year... No, I'm not talking back to school time or NFL time. It's time to apply to the Walt Disney World Mom's Panel. (If you don't know what the Mom's Panel is, it's a huge honor for any Disney fan. Click here for more info.) Twitter, Facebook, and various Disney boards become obsessed with who has applied, how people answered questions, and when to start expecting emails if you've made it to the next round. The Mom's Panel caps applications at 20,000. For approximately 10-20 spots. That's a 1 in 1,000 chance of being picked. YIKES! I have applied the last two years and haven't made it past round one. For some things, that may have soured me on the process and made me not want to apply this year. But nothing could be further from the truth. Over the last year, I have had the privilege of getting to know some of the Moms (and Dads), and they are wonderful people who are truly deserving of being on the panel. So, tomorrow morning at 9am applications start being accepted by the 2011 WDW Mom's Panel. I'm a bit irritated that I have a work meeting from 9:30-12:00 tomorrow, so I won't be able to get my application in until the afternoon. And then, I will join all my friends in the anxious waiting process! 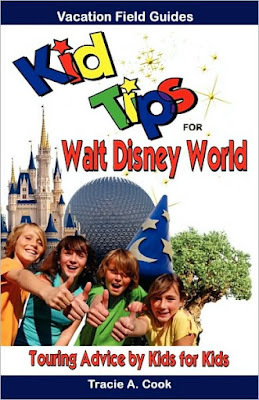 I recently had the pleasure of getting a copy of Kid Tips for Walt Disney World: Touring Advice by Kids for Kids from the author. I was excited to get a copy of this book and read it, wondering if there were any tips for my son. What I didn't expect was the great tips I got out of the book. This book is the brainchild of Tracie Cook- when she put the call out for tips, she never imagined she would receive over 8,000 tips in just 2 weeks. Luckily, Tracie ready each and every tip submitted and pulled out the best tips from kids ages 7 to 15 for this book. The book is broken down into sections that deal with each major park and the rides and food in those parks. The resorts also have their own section. There is an area that focuses on the two waterpark, DownTown Disney, and the holidays. The back of the book has a planning section that is made for kids. This is great for discovering what your kids want to do and what is important to them. There are some cool acrobats that perform in front of the bar near the Harmabe entrance. They can do some really cool and interesting things. After I went through the book, I sat with my son, who is 6, and went through some of the book with him. My son is a pro at touring WDW- he has been 6 times in the last 2 1/2 years. I got a kick out of some of the things he enjoyed from the book (and his comments). My son's one complaint was that the pictures weren't in color. But really, he loved the book, and so did I! This is a great read for kids and kids at heart! The book is available at Amazon, Barnes and Noble, and for the Kindle. Pick one up before your next trip to WDW- you will definitely learn something new! I've been thinking about what I want this blog to be and where it had been going and why I was having so much trouble writing... And yes, it hurt to think that much. I feel like I had pigeon-holed myself and had to keep my entries to running, Disney, or something similar. I didn't feel like I could just put a short little entry about life up there, and that is what was bothering me. So, start now, you may notice a little different direction for this blog. In fact, it may often appear it doesn't have a direction. And that's OK with me. I will still write about running, and Disney, and NASCAR, and so on... But I may also have days where I just write about what happened that day or something on my mind. So there you have it- what I want to be when I become a blogger.